Remember that too-healthy apple crisp leftover from St. Patrick’s Day? 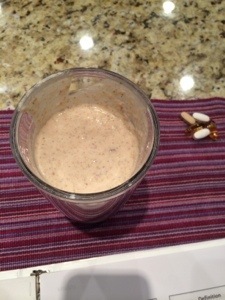 Well, the next morning it became BREAKFAST! And since Andrew said he didn’t like the apple crisp (huff! ), they are ALL MINE. 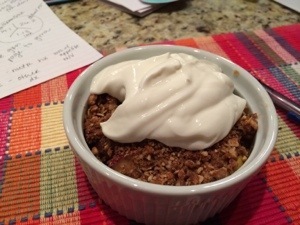 Apple crisp topped with plain Greek yogurt mixed with a splash of vanilla soy milk.